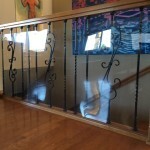 Decks, balconies and banisters pose several hazards — the most serious being that your child could slip through the railings and fall, or become wedged in the railings and suffocate. 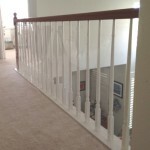 Fortunately, with supervision and a few simple steps, you should be able to prevent these accidents. 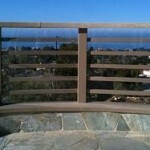 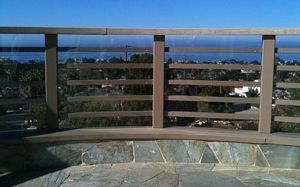 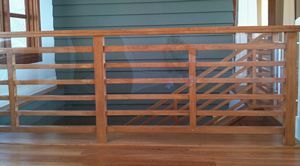 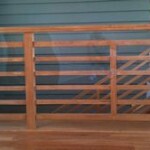 For outside decks, and outdoor netting material can be used to cover up gaps. 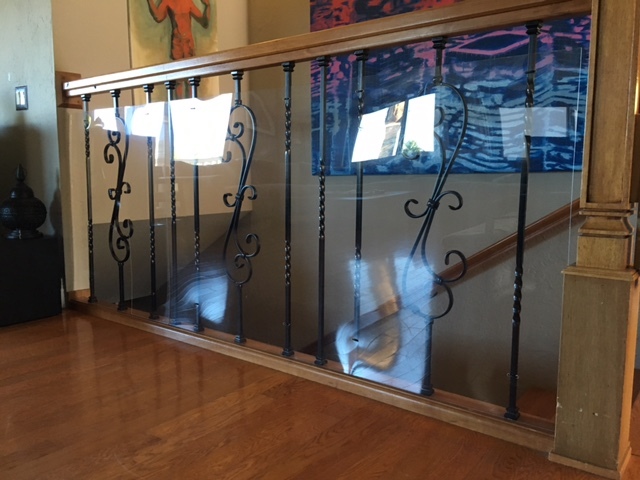 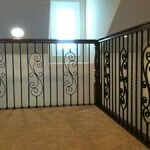 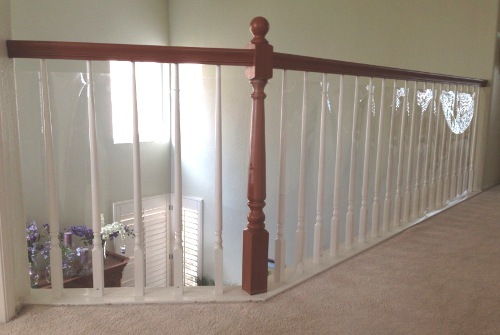 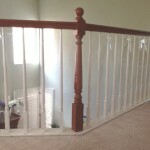 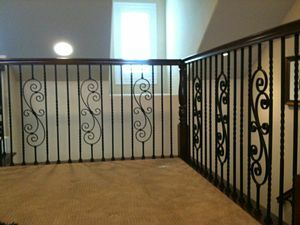 Always be sure to keep any items away from banister such as furniture, toys, and potted plants, so that children can the items to climb up and over the rails.